Sat in Sarandë watching the storm roll in as we ate breakfast on our incredibly beautiful balcony and we were all slightly hesitant about how our day was going to pan out. Cruising out (after a rather long lie in, don’t judge) at 2pm we jumped back in our Jeeps and headed half an hour to the next POI on the list: The Blue Eye. No matter what the attraction, when it’s pouring down with rain and you’ve been holding the soft broken roof of the Jeep in place to avoid a waterfall coming in, there’s only so much enthusiasm you’re going to have for a walk and a natural spring. But seriously, this natural spring is actually legendary and well worth checking out. The clear blue water bubbles from a 50-metre plus pool (well, that’s the furthest divers have explored so far) and is the original water source of the Bistricë River. Price tip: We paid 100Lek per car when driving the road up to the spring. The opportunity to observe the pools stands at around a 30 second walk from the car park, so no excuses, not even a torrential downpour. Afterwards? Of course there’s the Blue Eye restaurant to retire to for a Kosovian beer. Full from some yummy home made chips and beers (with a cheeky World Cup viewing to go with it) we were ready to get to our next destination, Hotel Luxury (you can imagine how eager we were considering we were soaked). Here’s where the adventure begun. One of the three Jeeps we were convoying refused to start. We tried and failed five times over with the engine circuit seeming to cut out every time. We took the other two Jeeps to fetch some petrol thinking that it could have run out (the dials were slightly dodgy) but no luck – it was time to call the car rental company. By 10pm we had all made it to Hotel Luxury, unconvinced that the use of a ‘wet key’ told to us by the car rental company was the real reason the Jeep wouldn’t start. Nonetheless, we happily continued on to tuck into fresh grilled octopus with courgette, pepper and £2.40 gin and tonics before sliding into the the bed sheets for the night. Hallelujah. What a view to wake up to. 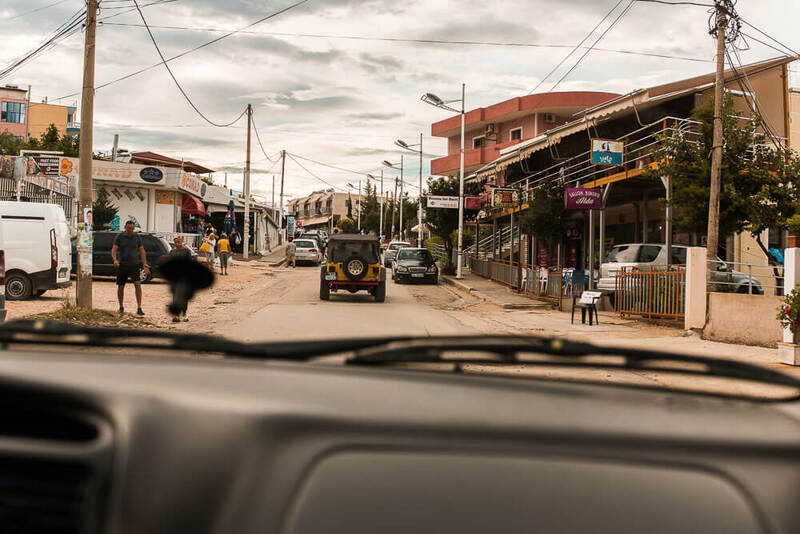 After our night in Ksamil, we headed down into the town with the jeeps to explore this little village that is quickly becoming known as one of the hottest beach destinations in Europe. ‘Really?’ I hear you question. White sands, crystal clear waters, world class seafood, views over the islands and £0.78 beers from the supermarket. What’s not to love? Top tip: Dine at Beach Bar Restaurant, not only can you eat on the water edge but you can even hop in for a cheeky dip before dinner is served. The food is more expensive than your typical Albanian restaurant would offer but for very good reason. This was probably my favourite meal in Albania and it was still only about £9/10 a head. I ordered a fresh watermelon juice, the local mussels cooked in wine and the courgette fritters. I ordered right. If I had longer here I would definitely have loved to check out some of the islands that sit just off the coast. Do it for me will you? About a 20 minutes drive from the centre of Ksamil is Butrint National Park, an ancient city and UNESCO World Heritage Site. 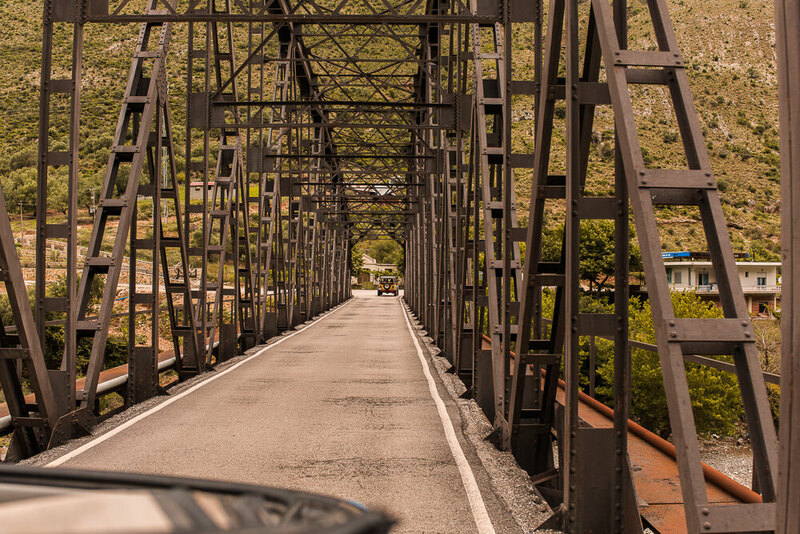 I looked closer and noticed that to get to the other side of the water, there was a pulley bridge in operation to take both passengers and cars across. I couldn’t help but laugh at how simple this was and how ridiculous it seemed in this day and age. This right here is an accurate picture of Albania’s state of development. Beautiful. They are years behind but do you know what? It works. It totally works and there’s no need to over complicate it. Gjirokaster was possibly my favourite location of all. Fun fact: Gjirokaster translates to ‘The city of stone’. This magical hillside town only revealed it’s undeniable charm and cobbled walkways to us the morning after we arrived as we sat devouring an Albanian breakfast on our quaint hotel balcony. We had arrived in the dark and I for one was completely blown away by the mountain 360 when I peered through the curtains the following morning. With the castle out of one window and the street vendors setting up in the village out the other – I had fallen straight in love. Everything about Gjirokaster seemed so humble. Pop this anywhere else in the world and you’d not be able to move through the crowds. But here they have it all and they don’t even know it. We had a half an hour walk around with a coffee here before our strict departure time of 10am took us to Osumi Canyon for rafting. Or intended to anyway before one of the Jeeps got royally stuck in the mud half way up the mountain. I kid you not. Fulled immerse in the mountains, the low cloud and the rain that had now arrived, problems struck again. The tyre tread wasn’t sufficient on one of the Jeeps and we just couldn’t get it to the top of the mountain. Admitting defeat after about an hour of tree twig car wash and getting our hands dirty – we surrendered both the mountain and the rafting, sulked our heads and went to the nearest bar for a beverage. I truly believe you can make any situation fun and I have to say, this ordeal was up there with the very best. I laughed so much it actually hurt. The storm had meant aborting the rafting mission (sadly) and the faffing around had meant we were already hungry and ready to get to our nights accommodation. So we did. Three hours later we arrived at our final destination of the trip before returning ourselves and the cars to Tirana. 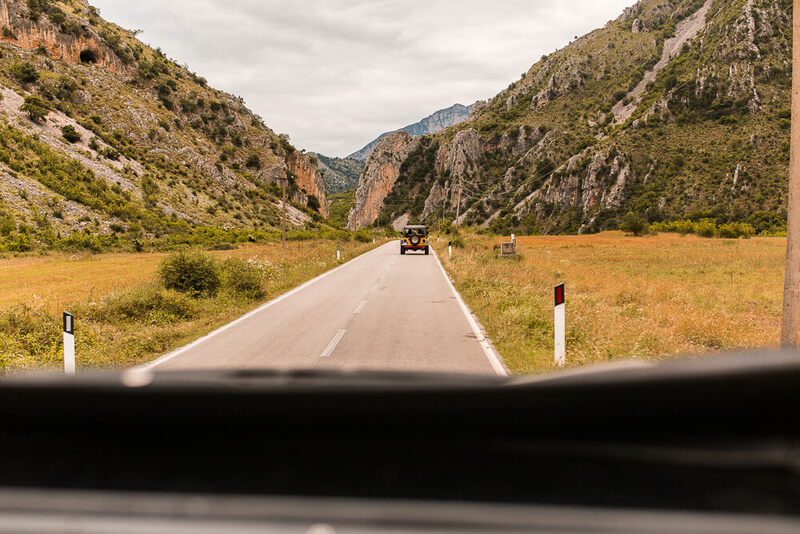 One night at another ridiculous location with an ‘instagram goals’ breakfast view – Arben Elezi, a few Raki shots at a local Albanian restaurant Antigoni and my love for Albania was stronger than ever. How did I have no idea how beautiful Albania was until now? It’s honestly my idea of heaven. The kinda place that ticks all the happy boxes and our brief swing bys to each location were just not enough. If there’s one thing for sure after my trip to Albania it’s that, I will be back. I really hope you’ve enjoyed joining me on my Albanian adventure, it’s certainly been a pleasure sharing it with you and it goes down as one of my favourite adventures to date. 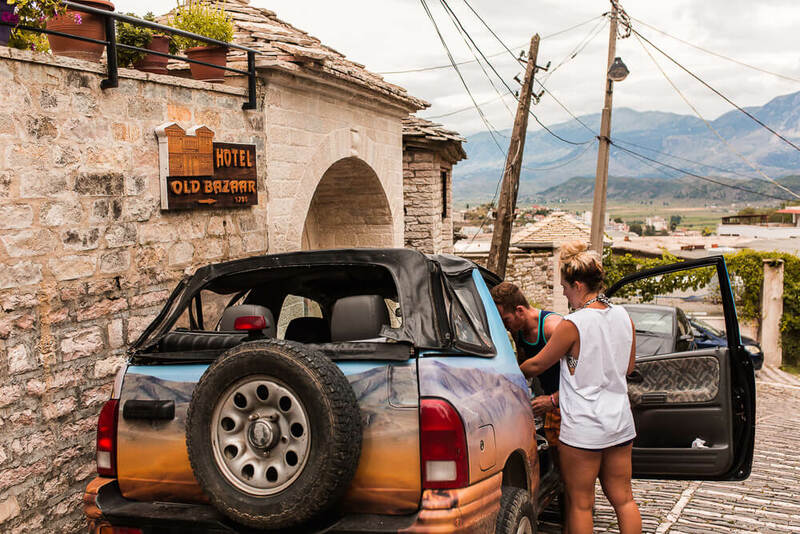 Thank you so much to Oh So Albania for having me along on this epic 8-day itinerary. If you like what you’ve seen and would like to get on board with something similar, keep and eye on the Oh So! official website as they will be launching tickets for Oh So Albania 2019 tours very soon!